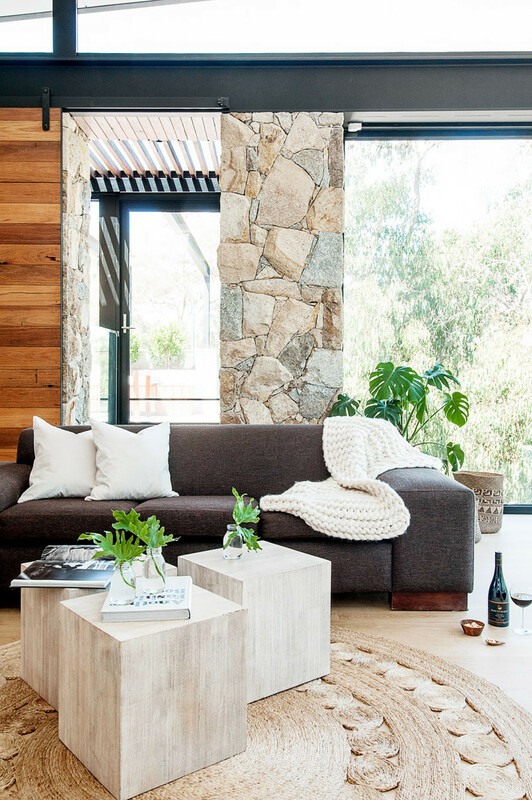 Alexandra Buchanan Architecture have designed this home surrounded by bushland, and perched above the Yarra River in Victoria, Australia. 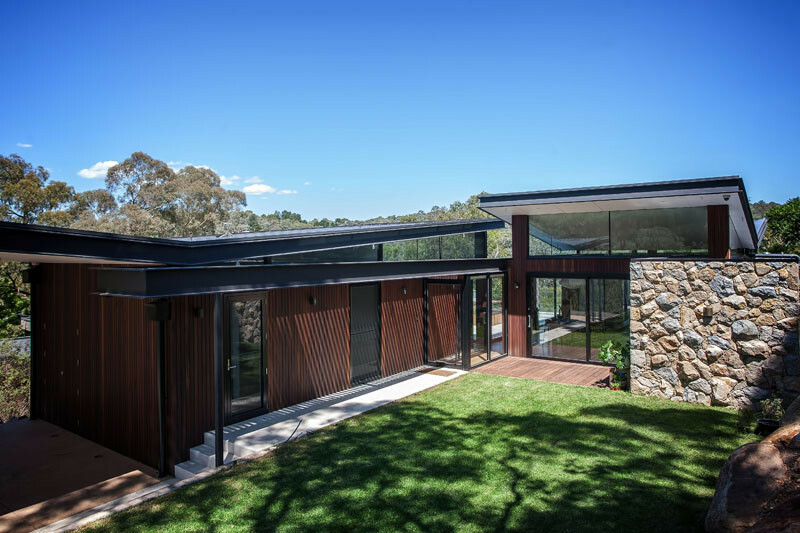 Stone, wood and steel have been used on the exterior of the house. 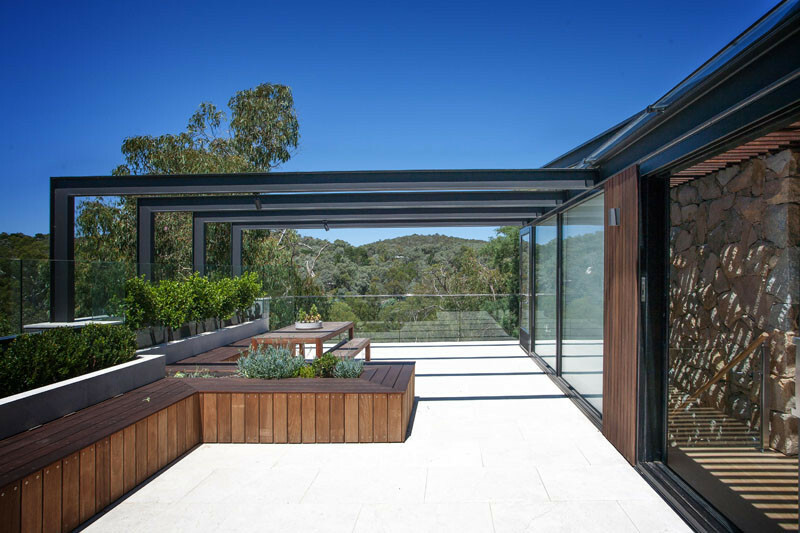 This outdoor space just outside the interior living areas, has built-in benches providing additional seating for guests. 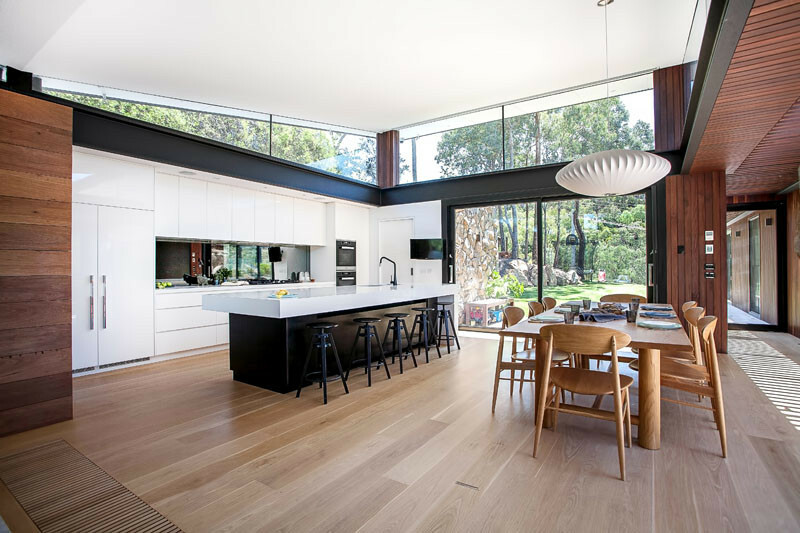 Inside, a large open plan kitchen and dining area are filled with light. 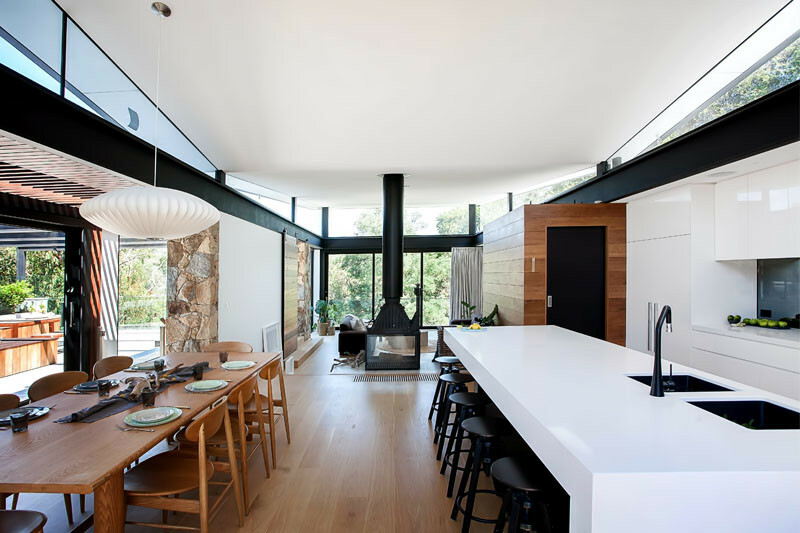 The white and black kitchen has a large island with space for five stools. 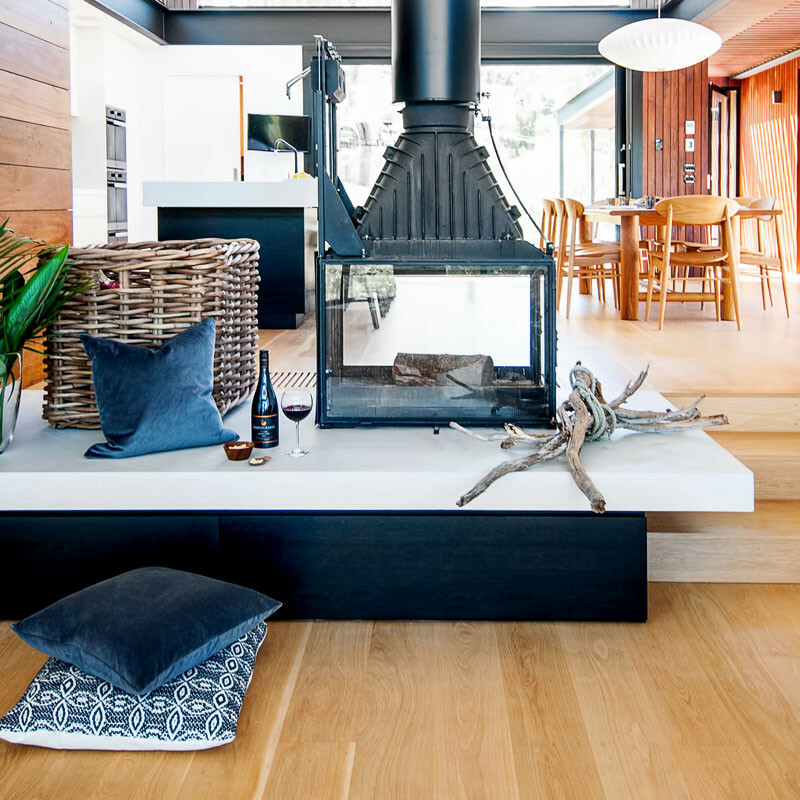 A see-through fireplace provides separation between the kitchen/dining area and the living room. 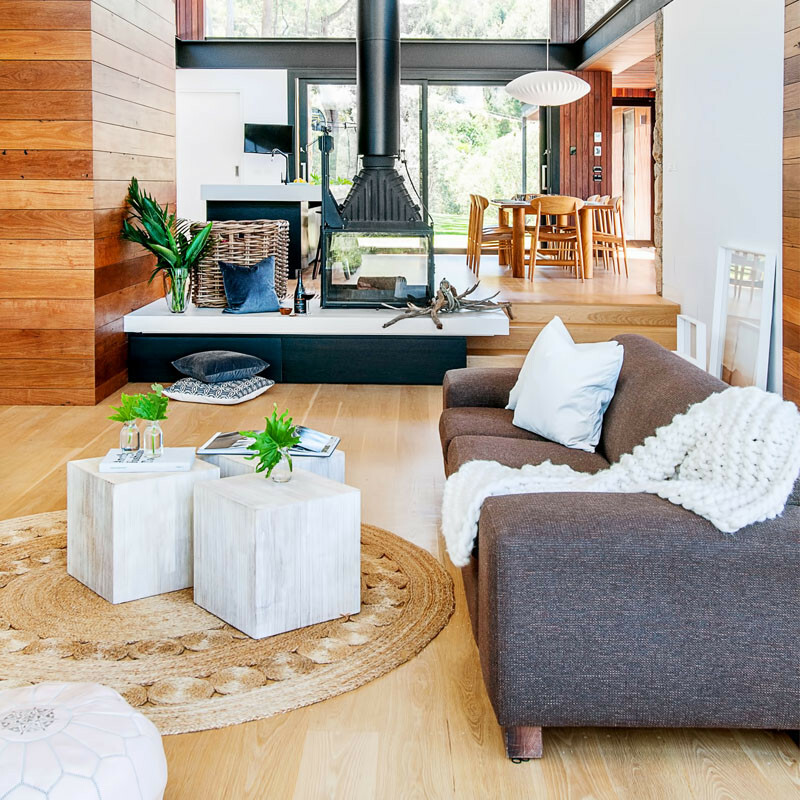 The living room is also stepped down from the kitchen/dining area. 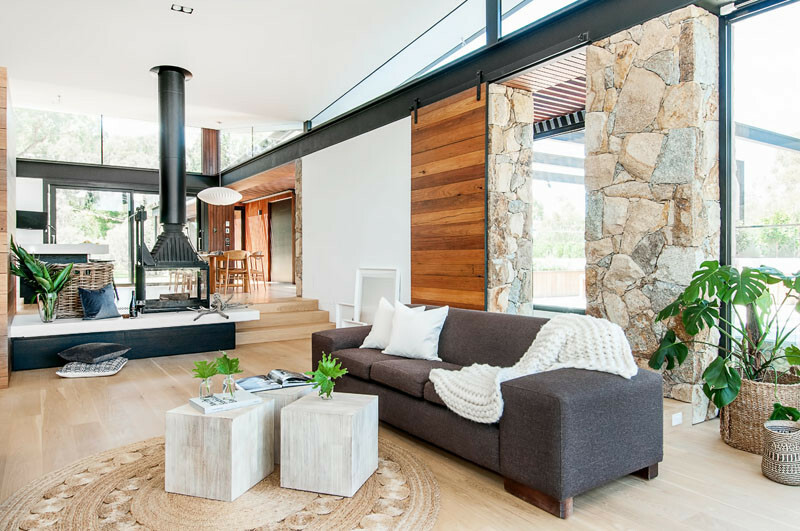 Large wooden barn-style doors open up to the outdoor spaces. 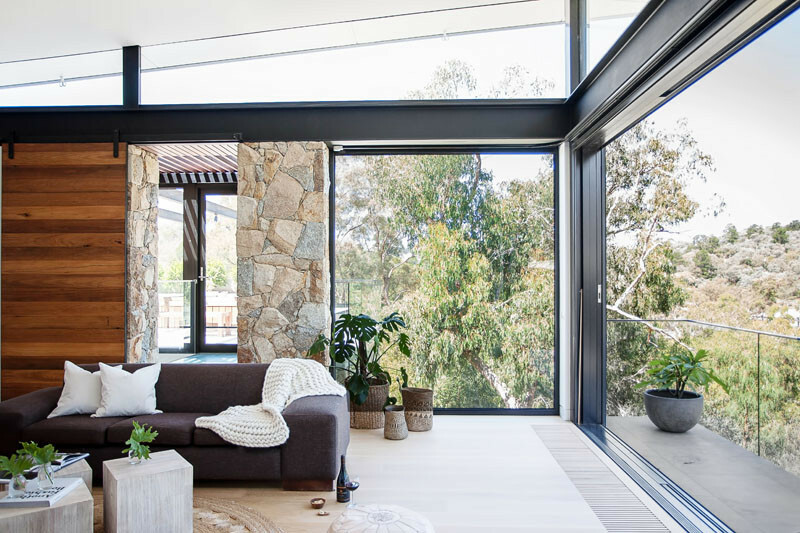 At the end of the living room, sliding doors open up to reveal a small balcony, perfect for letting the breeze flow through the space. 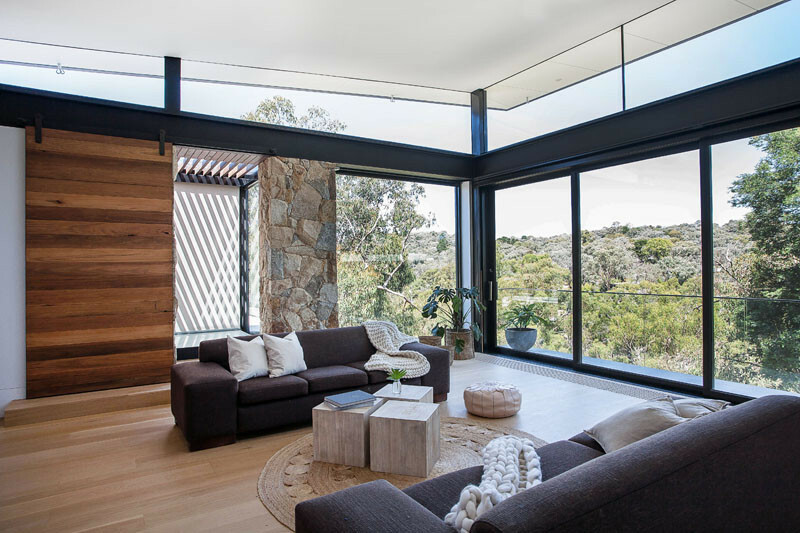 Large windows provide amazing views of the surrounding Australian bushland. 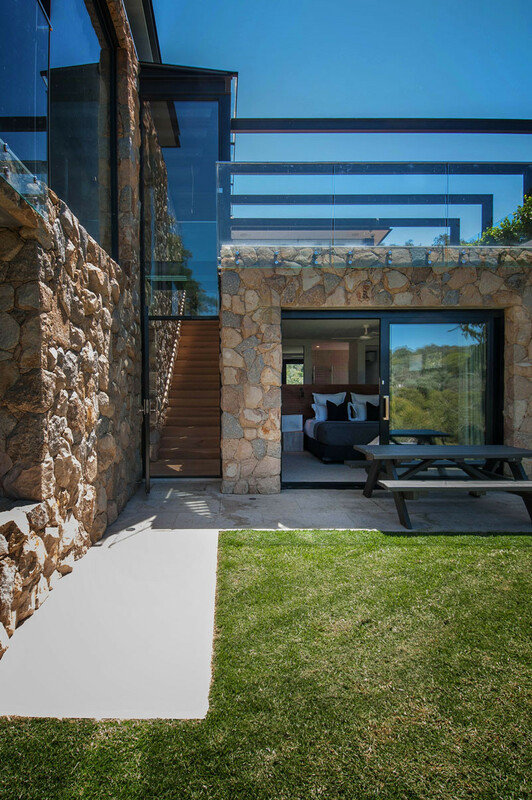 The exterior stonework is carried through to portions of the interior. 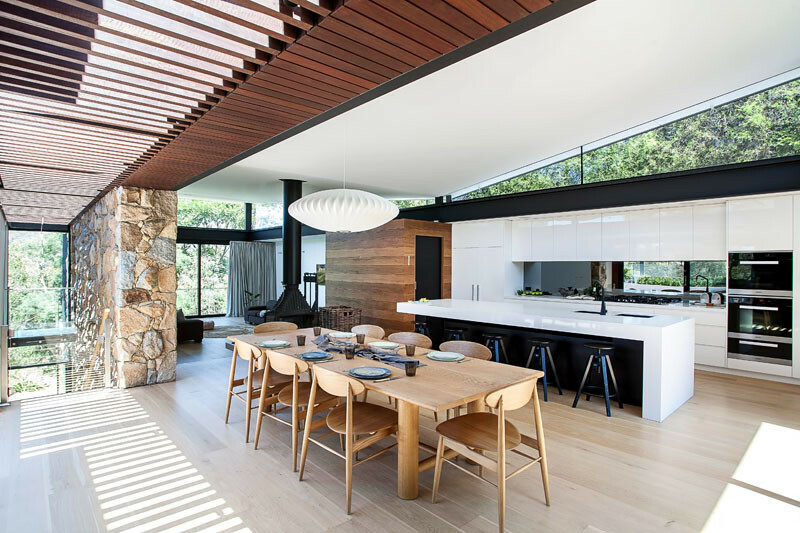 The home has a nursery with a silver and white, striped painted ceiling. 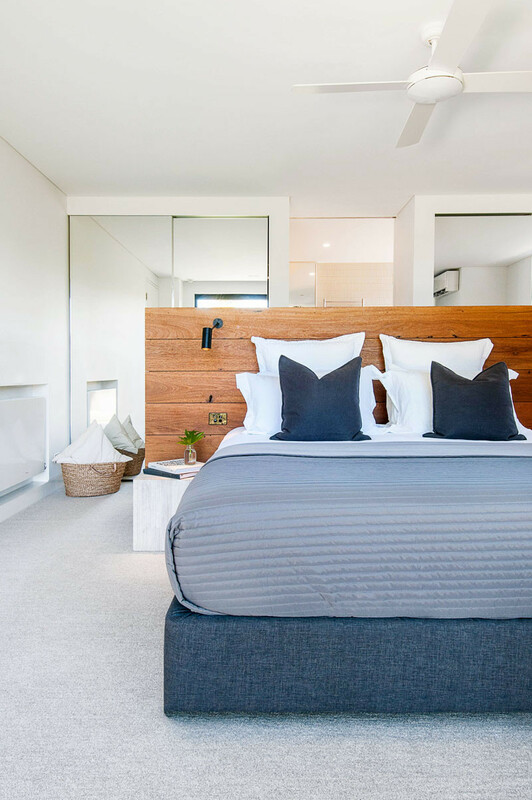 In the master bedroom, the bed is centrally placed with a wooden headboard. 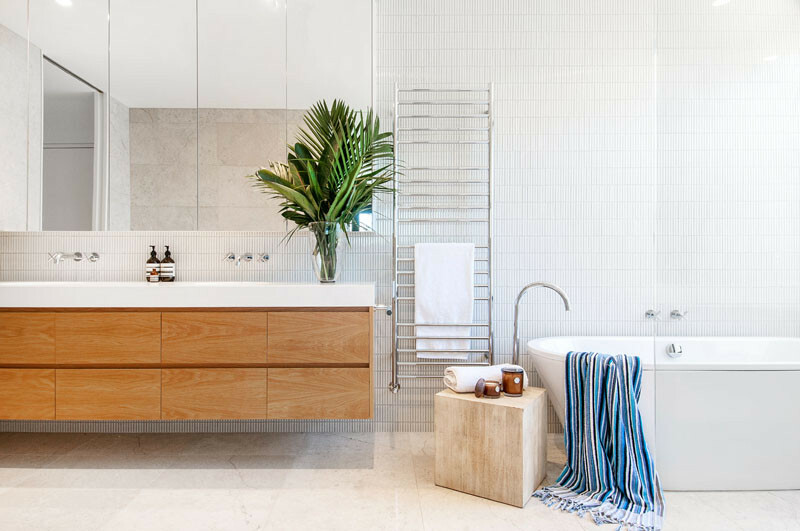 A light and natural palette has been used in the bathroom. 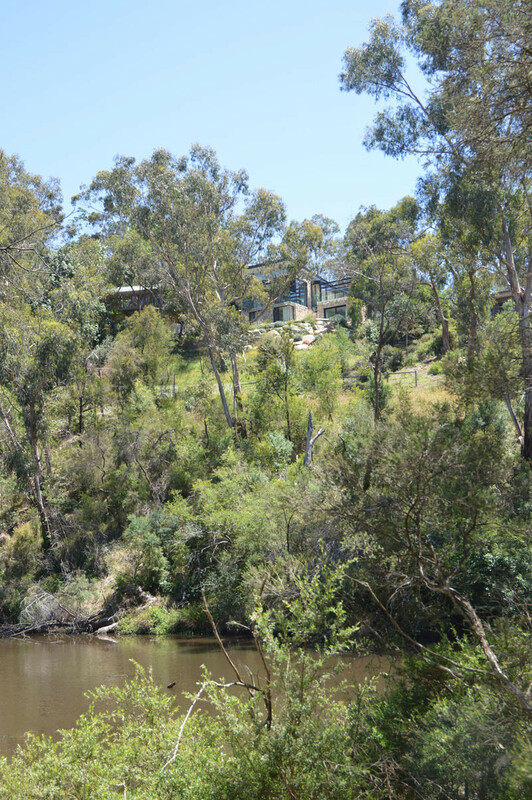 Here you can see how much the house is truly surrounded by bushland.